Sydney - The International Air Transport Association (IATA) and Deloitte have published guidance materials for governments considering public-private partnerships (PPP) and other forms of privatization programs for airport infrastructure. "Airports provide critical infrastructure. It is important that governments considering privatization or PPP take a long-term view and focus on solutions that will maximize the economic and social benefits of connectivity. The aim of Airport Ownership and Regulation is to help governments make better-informed decisions using best-practices gleaned from decades of experience with the good, the bad and the ugly of airport privatizations," said Alexandre de Juniac, IATA’s Director General and CEO. Airport Ownership and Regulation builds on industry best practice and the results of research into the effectiveness of different ownership and operating models from the perspective of a range of stakeholders. The phenomenal demand for air connectivity is outpacing the capacity of current airport infrastructure and many governments are challenged in finding the effective financing means to enable critical expansion. "The global growth of airports is increasingly putting airports under pressure, increasing the need for governments to explore alternative financing solutions and enhance management efficiency. The current pipeline of airport privatization being considered globally makes this Guidance Booklet timely, and we believe it will support governments to better assess private sector participation options. There is a critical need to ensure strategic objectives are appropriately assessed and the benefits and risks understood when evaluating airport ownership and operating model options. Whatever ownership or operating model is applied, governments, investors and aviation stakeholders need to put the end-consumer central to the selection of the optimal solution", said Dorian Reece, Global Airport Lead at Deloitte. Assessing the options for models of privatization: Governments should take a broad view of airport ownership and operating models, matching them to the strategic management, financial and macro-economic objectives of inviting private participation in airport infrastructure provision and management. Each has its merits and there is no one-size-fits-all solution. What is critical is the rigor of the assessment process. A key element of that is ensuring that the interests and input of all stakeholders, including airlines and customers, are thoroughly evaluated before decisions are made. Best Practices for the Process of Privatization: A competitive and transparent transaction process is a "must have" to assure public value for money. Governments must assure that bids are assessed on balanced criteria and that the key terms of any concession contract ensure improvement in efficiency, quality of service and appropriate investment in the airport for the airlines and the end-consumers. 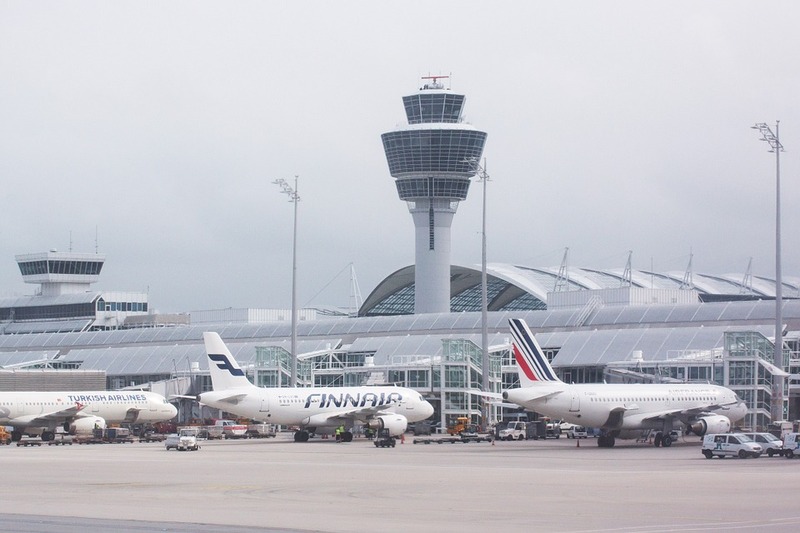 Regulation of Privatized Airports : The assessment of an airport’s market power and the development of the appropriate regulatory framework should take place in parallel with an assessment of potential ownership and operating models. Economic regulation is needed to prevent market abuse, secure efficiencies and ensure service quality. When combined with limited or weak economic regulation, all models (private or public) can lead to adverse outcomes; however, there are additional risks with airports that have private ownership. Best practice indicates that regulators must be centralized, appropriately funded, independent, have a clearly defined mandate; and be endorsed by governments and defined in legislation. Regular assessment of an airport’s market power is needed to ensure that the regulatory function remains fit-for-purpose. Airport Ownership and Regulation was commissioned by IATA and researched by Deloitte. It is freely downloadable from the IATA Website. Airport Ownership and Regulation was released on the sidelines of IATA’s 74th Annual General Meeting and World Air Transport Summit, which has gathered over 1,000 industry leaders in Sydney, Australia. IATA represents some 290 airlines comprising 82% of global traffic. Αναρτήθηκε από geop στις 8:24 π.μ.